If you're not a fan of cleaning pans when you make banana bread you can line the pan with parchment paper for easy removal and clean up! Preheat the oven to 350°F. Place the chopped apples in a bowl, sprinkle with lemon juice, stir to coat, and set aside. In a large bowl, cream the butter (an electric or stand mixer is preferred). Mix in the sugar. Add the eggs, one at a time mixing well after each egg. Mash the bananas on a separate plate using a fork or potato masher and add the mashed bananas to the butter mixture, along with the vanilla and mix well. In a separate bowl, mix together the flour, baking powder, baking soda, and salt. Add the dry ingredients to the butter mixture and mix well. Stir in the chopped apples. Grease 2 loaf pans. Pour the batter evenly into the two pans. Bake at 350°F for 45-60 minutes or until a tooth pick inserted comes out clean. 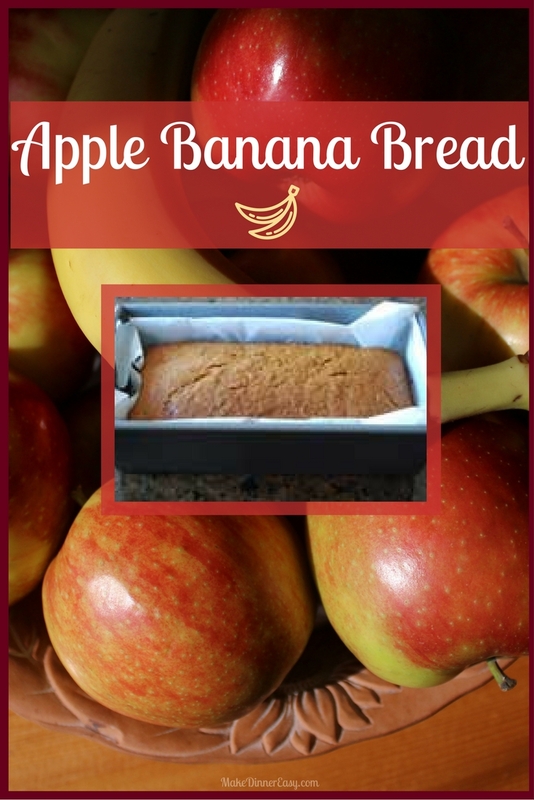 The apples in this apple banana bread recipe help to make this an especially moist quick bread recipe. 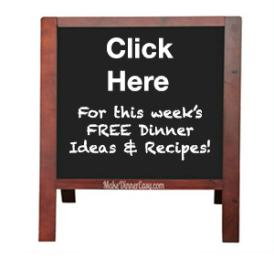 I have made this recipe often, and my kids especially love to eat it for breakfast or an after school snack. 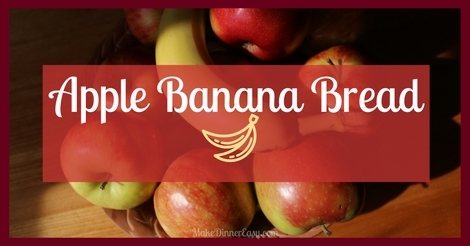 If you want to make a banana bread but don't have time to cut up apples, another recipe I recommend is Basic Banana Bread. This bread freezes very well and makes a nice gift.